Easy Pancake Recipe with the BEST buttermilk syrup ever! I made these for my family the other day and they were a BIG hit! They were honestly the best pancakes I have ever, ever tried!!! 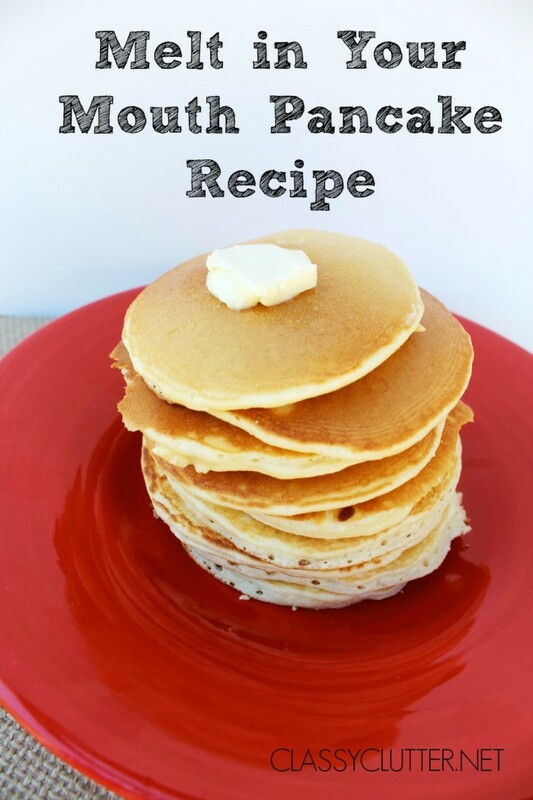 If you’re looking for an easy pancake recipe, this is it! They are soooo easy and quick too! These will not disappoint! I even doubled the recipes and saved the pancakes in my fridge and they were just as good the second and third day. They really really do melt in your mouth! 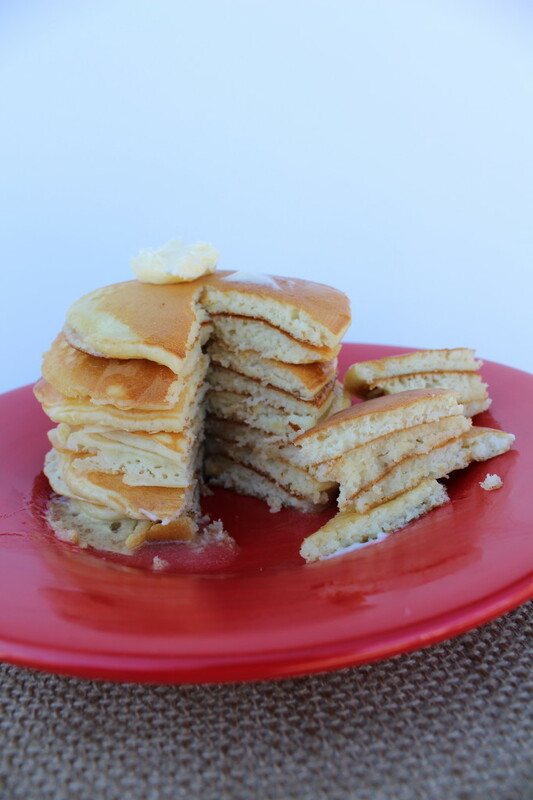 Now that you have the Ultimate Pancake recipe you need the perfect syrup…. 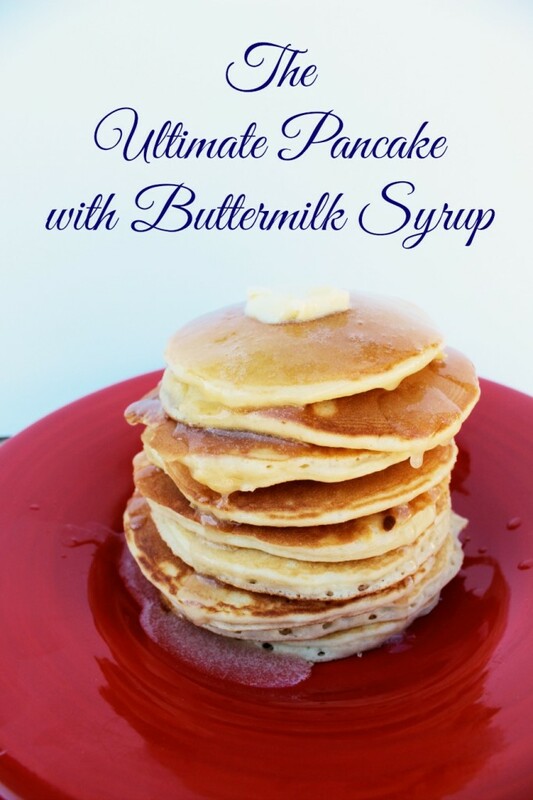 This Buttermilk syrup recipe is so beyond amazing! My mother has been known for this syrup forever and my kids are spoiled now and will only eat pancakes if I make this syrup. You would think it would be hard but its very easy. It really is a must try and a crowd pleaser! Melt butter in medium to large saucepan on medium heat. Then add sugar, and butter. When it starts to boil remove from heat and add baking soda and vanilla. * The syrup will then foam up* It is now time to enjoy! I will normally double the recipe and the save the rest in the fridge. It will last up to 2 weeks in the fridge. I normally just put in the the microwave to warm for a few seconds. These sound wonderful!! For the syrup…. I’m not sure what a cube of butter is. Is this a stick of butter? The info would be appreciated. Thanks so much!! Hi Savannah, these pancakes look so yummy! I’d like to try your syrup, one question: “1 cube butter”, does that mean a tiny piece? Like take a pat of butter and cut into cubes and use 1? Sorry, I’m weird like that! Sounds Delicious! Two questions for you! How much is a cube of butter? Do you use low fat buttermilk because that is all I can find in our stores. Otherwise I add vinegar to whole milk. I am going to make them for my grandkids next week. Thanks so much for sharing! how do you make buttermilk with vinegar??? what is the ratio vinegar to milk? This is my new best one and only syrup. I’ll never, ever buy store-bought syrup again. I made mine a little different but the same ingredients. I used homemade buttermilk: 1/2 cup whole milk + 2 teaspoons lemon juice. At first, I added 1 1/2 tsps. lemon juice, but the milk didn’t thicken up so I added another 1/2 tsp and the milk thickened instantly. I used a generic brand lemon juice called Kurtz. I suppose you could use white vinegar just as well. I used a whole cup of sugar and 1 stick of margarine (I had no butter) and a pinch of salt. I melted the butter first then added everything else EXCEPT the vanilla. I let it boil for 7 minutes, stirring often. Right before the 7 minute mark, the mixture began taking on a brownish color. At 7 minutes, I removed the pot from heat and added 2 tsps. vanilla. Stir and cool. The reason I put the baking soda in at the beginning was because when I read other people experienced an after taste of baking soda when they added the baking soda at the end along with the vanilla. So I took the chance on boiling it along the the sugar, buttermilk, ec. All I can say is WOWSAH!! I can’t wait to make pancakes and for my daughters and grandkids taste this syrup. After making this syrup, I licked the pot and spoon clean. Its very addictive. It wasn’t too sweet either but just right. So happy I found this recipe.